This is in collaboration with Macy’s but all opinions are my own. Many of you know that I live in California and we are constantly travelling to visit my girls’ grandparents. One set of grandparents lives in Atlanta and the other in New York. It’s because I’m constantly travelling that I wanted to share with you my travelling essentials; those things I cannot be without as a mother. At the top of my list is skincare, particularly taking care if my face. If my skin looks good, everything else is easy! Every time I travel, the night I return, the first thing I do is apply a special mask and the next day my face looks refreshed, youthful, and rested. 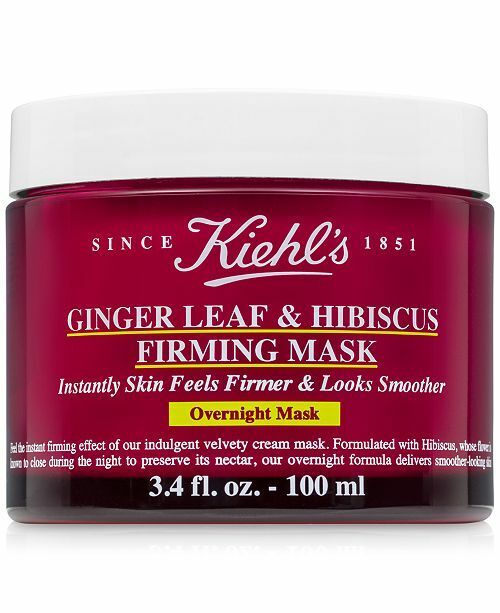 This amazing mask is “Ginger Leaf & Hibiscus firming mask from Kiel’s”. It has a soft and smooth texture and is super easy to apply thanks to an infusion of Ginger and Hibiscus (this plant is from the family of Opium Poppies). Another thing that became a game changer for my travels from the moment I discovered it, is a makeup palette. My makeup bag is something else entirely since I discovered the “Clay Play Face Shaping Palette”. I now have an all-in-one: Shadows, blushes, bronzers, highlighters…everything you need to create the simplest look or the most glamorous one, thanks to such an array of colors! It’s just AWESOME! I swear to you, you need one. I’m the type of person that feels that if my eyebrows are beautiful, I can go to the moon and bring back the stars with me! Having my eyebrows made up makes me feel beautiful. Benefit Cosmetics has a makeup-bag-worthy 3 piece kit for the eyebrows. It’s soft and perfect and the colors look natural. To finish, it brings a gel to set the eyebrow hair. Can you ask for more? Don’t think so. For me, another essential is my suitcase. I love the Samsonite Sphere II 25” expandable created exclusively for Macy’s. It’s ultralight (and when I say ultralight, believe me, it only weighs 8 pounds) and best of all, it has a 10 year warranty. If you have any doubt, just look at the reviews on the Macy’s page. I would love for you to share with me, what are your travelling essentials? Este post fue en colaboración con Macy’s pero todas las opiniones son mías. Como muchos saben vivo en California y viajamos todo el tiempo a ver a los abuelitos de mis niñas , unos viven en Atlanta y otros en New York. Y es porque constantemente estoy viajando quise escribirles sobre mis esensiales de viaje. Las cosas que como mamá no me pueden faltar. Lo principal para mi es el cuidado del rostro, si mi piel se ve bonita! Todo lo demás es más fácil. Algo que hago y les paso el dato es que SIEMPRE que viajo, la noche cuando llego de viaje lo primero que hago es aplicarla y al otro día mi rostro no parece que acabo de viajar , le da un aspecto a mi cara juvenil y descansado. Y algo que desde que lo descubrí ha cambiado el juego en mi forma de viajar con mi maquillaje y es una paleta de maquillaje. Desde que encontré la Clay Play Face Shaping Palette mi cartera de maquillaje es otra. Ahora tengo todo en uno. Sombras, rubores , bronceadores, highlighter y lo mejor de todo es que tienes para hacer el maquillaje más sencillo o más glamuroso, por los tantos colores que tiene. Es un ÉXITO ! Se los juro la necesitan. Yo soy de las que siento que si tengo mis cejas hermosas puedo ir a Luna y traerme las estrellas conmigo. Me hacen sentir tan hermosa. Benefit Cosmetics tiene el kit de 3 piezas para las cejas. Es suave y los colores se ven tan naturales , tan perfectos y para terminar tienen el gel para fijar el pelo de las cejas. Se podrá pedir mas? No creo. 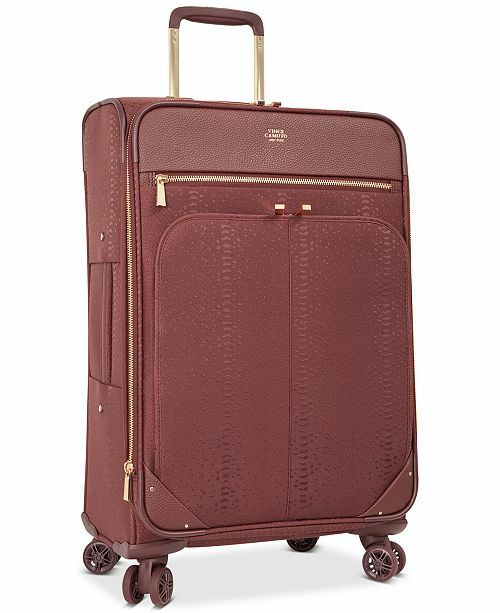 Para mi maleta de viaje amo la Samsonite Sphere lite 2 25” Expandible creada exclusivamente para Macy’s. Es ultra liviana cuando les digo ultra créanme que lo es. Solo pesa 8 libras y lo mejor tiene 10 años de garantía. Si tienes duda mira los reviews en Macy’s 😉. Me encantaría saber cuáles son sus esenciales de viaje ? Me cuentan?